Fall 2018 Dance with Class...Bright brings home a trophy for Meregue! Bright brings home 1st place trophy in Merengue Dancing with Class dance-off! 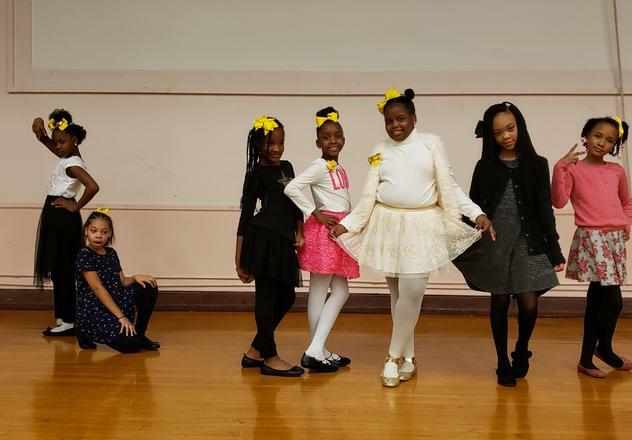 Select 4th and 5th grade students who had been taught various dances from around the world from Ms. Denita of Dancing With Class had the opportunity to compete with other students from many schools at the Chicago Cultural Center on December 13, 2018. Ms. N. Linton was co-teacher for this programs with additional support from Ms. S. Ball. Congratulate our students and check out our trophy outside the main office. On December 5th, Bright hosted Bright Carnival Math Family Night. It was an awesome night of learning, fun, and giveaways. 159 students and family participated in math instruction, games, and prizes. If you missed it; don't fret because we'll be doing it again. So stay tuned for popcorn, cotton candy, math resources, prizes and more.